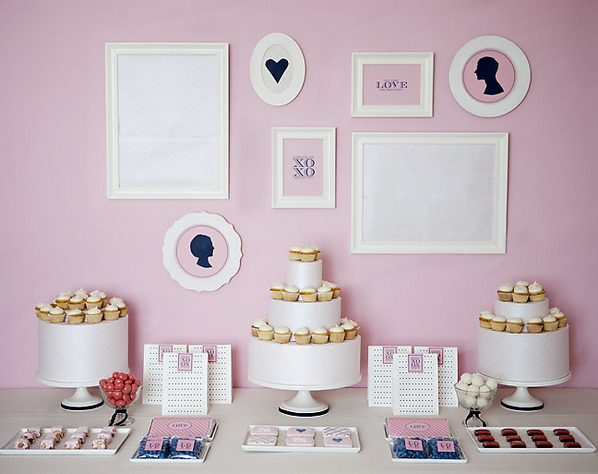 In our opinion dessert tables are one of the best wedding trends of the moment. They’re tables full of dessert. And if that isn’t reason enough to love them they also are a great opportunity to enhance your wedding decorations and create a beautiful display. Vary the height and the placement of the desserts in order to create a mouth watering composition. 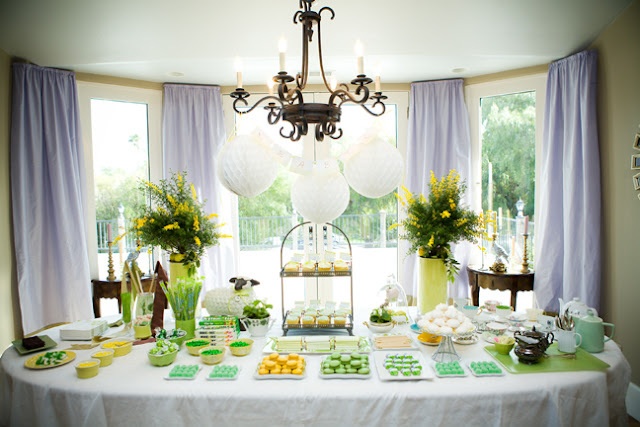 Try serving some foods on platters, others on stands, and a few items in apothecary jars. You’ll want to have a variety of treats for your guests to enjoy. Five is a good rule of thumb to go by. Group similar items together. Don’t mix and match different desserts on the same plate or stand. Create large clusters of the same dessert next clusters of another dessert on a different level or display. Make your display truly powerful by keeping it all one color. Two at the most. 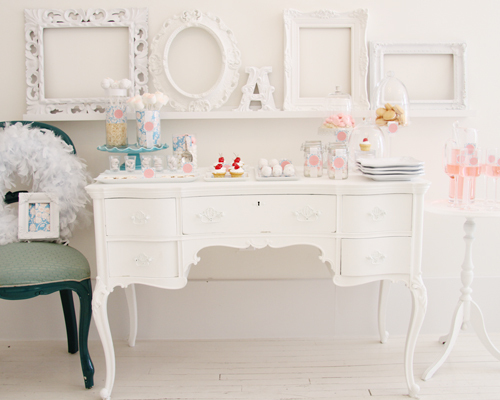 By keeping it monochromatic you create mass, which makes your guests feel like a kid in a candy store. Tell your guests what they are about to get into! Reading the name makes it all the more exciting. 7. Decorate it, but not too much. 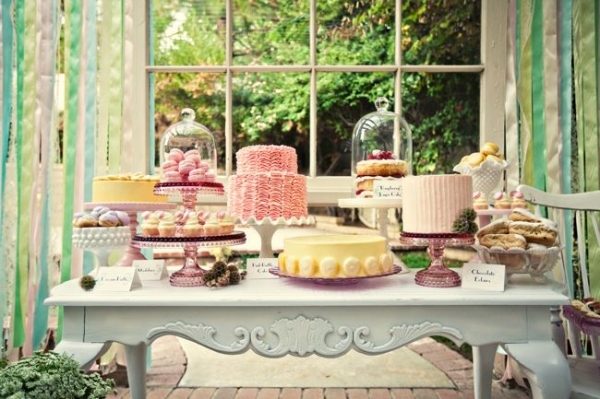 Your dessert displays should be decorative enough, so don’t overdo it with a lot of clutter. A simple garland or a little confetti is just enough to complete your edible display.